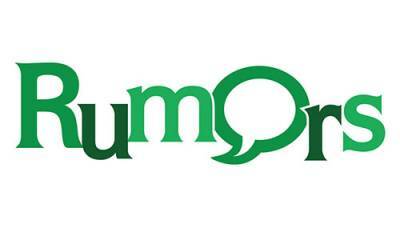 Elmwood Playhouse of Nyack NY will be presenting "Rumors", written by Neil Simon and directed by Kathy Gnazzo. "Rumors" is what we all need right now, a show that is guaranteed to make you laugh and your head spin! "Rumors" runs March 15, 2019 thru April 6, 2019 Fridays and Saturdays at 8pm, Sundays at 2pm with an additional Thursday performance on April 4, 2019 at 8pm and an additional matinee on Saturday April 6, 2019 at 2pm. Tickets are $26 / $23 Seniors and Students. The party is planned, but Charley the Deputy Mayor of New York, has accidentally shot himself and his wife is missing. Their friends must avoid a scandal. But how to keep things quiet before the guests arrive? Confusion mounts as the evening slides into a world of farcical hilarity. "Rumors" features Dana Duff of Nyack NY, Danny Charest of Thornwood NY, Rob Webber of Sparkhill NY, Mike Hull of Washington Township NJ, Janica Carpenter of Old Tappan NJ, Joseph Rothschild of Ridgefield NJ, Tiffany Faulkner of Bronx NY, Alison Costello of Pearl River NY, John Mirabella of Goshen NY, and Jimmy Lugo of Congers NY.